When Thistlecrack surged clear in the World Hurdle in March it was not the first taste of breeding success at the Cheltenham Festival for Robin and Scarlett Knipe of Cobhall Court Stud in Herefordshire. The Knipes also bred Gold Cup hero Master Oats and Anzum, who won the Stayers’ Hurdle 17 years before Thistlecrack when finishing a neck ahead of Le Coudray. Both were by stallions who stood at Cobhall Court, namely Oats and Ardross. Celtic Cone, Alderbrook and Midnight Legend have also stood at the Hereford stud at one stage or another. Scarlett, who has been married to Robin for 53 years, explains how they acquired the dam of Thistlecrack: “Ardstown was foaled here, and we purchased the mare off her breeder. We ran her in point-to-points and hunter chases, and she won both. Ardstown, a daughter of Ardross, produced six foals before her death in 2014 and she endured some hard luck with several of her offspring dying early in their racing careers. But not only has she produced Thistlecrack, she also has the Grade 2-placed West Approach on her record. Knipe describes the young Kayf Tara colt foal who would become Thistlecrack as “just a very nice individual”. The couple are now in their 70s, and as their children pursue their professional business careers they made the difficult decision to sell the three-year-old sister to Thistlecrack at Cheltenham in March, where she made £165,000. Kayf Tara’s dominance among British-based jumps sires has earned him seven titles and an eighth looks set to follow with Carole’s Destrier, Identity Thief and North Hill Harvey besides Thistlecrack among those carrying his flag. The dual Gold Cup winner by Sadler’s Wells has stood at Overbury Stud in Gloucestershire since 2001 and manager Simon Sweeting says: “He seems to be in good nick. We’ll be limiting the number of mares he covers. We’ll keep it to 100 and we’ll just have to see how he goes. Overbury is also planning for him to cover younger mares, to give him a better chance of getting them in foal. His price will be set early in the new year. “We had hoped we would get some Flat mares, although we didn’t get very many,” he says. “His first ever winner, Ruby Wine, won the Listed Ballymacoll Stud Stakes at Newbury over 1m2f. He would have been quite capable of producing decent Flat horses. The horses providing Kayf Tara with his current spell of success were bred on the back of those early successes. “He’s in great demand, we just hope he’s with us for a few more years yet,” says Sweeting. “He’s coming up to 23 so every year is a bonus for him now, and we’ve been very fortunate to have him at all. John McDonald, a former Gaelic footballer for Kildare, arrived back in Ireland from the US in 2003 and since then has been in the business of buying and selling foals, taking the lead from his father, who kept a number of racehorses. 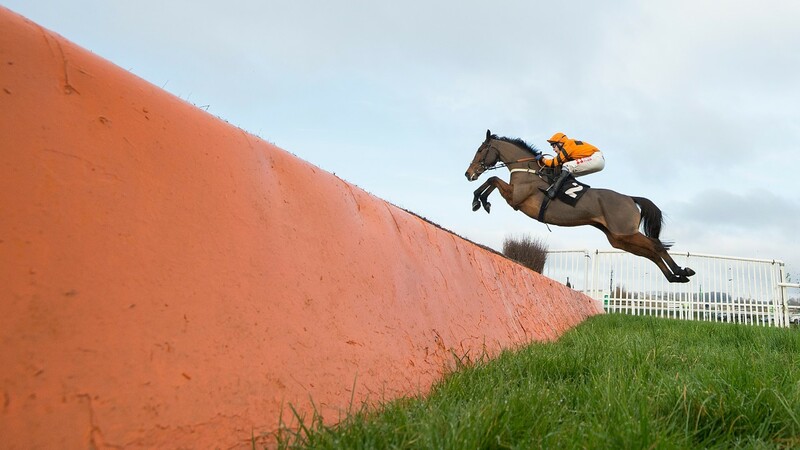 McDonald bought Thistlecrack as a foal for €32,000 at the 2008 Tattersalls November National Hunt Sale and sold him on to the Snooks as a three-year-old at the same company’s August National Hunt Sale for €43,000. His farm is located outside of Kildare town, where he dabbles in horses for both codes. Among the others to pass through his hands is Ruben Cotter, who has won three chases and a hurdles race for trainer Paul Nicholls. McDonald was initially impressed by the page. point-to-points,” he says. “He was a beautiful walker. Even at that stage you could tell he was going to be big. He also had a very good temperament and in the three years I had him there was never a problem. He had all the attributes of a good three-year-old. McDonald is philosophical about his modest profit for Thistlecrack. “It was the middle of the recession as well, people kind of forget that,” he says. “Money was scarce and people weren’t buying as much as they had been. McDonald is now looking forward to Thistlecrack’s campaign this year.